Two side by side lots for sale located on Holopaw Groves Rd. in Saint Cloud, FL 34773. 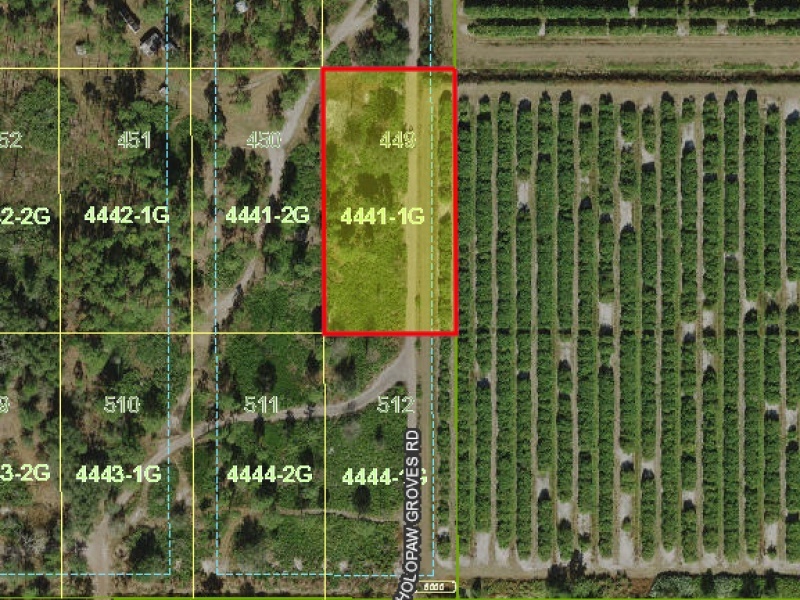 Lots 4441-1G (highlighted below) and 4444-1G below it on map. Both lots are 1.262 acres each totaling over 2 1/2 acres! Great opportunity to invest and selling for only $11,500. Street : Holopaw Groves Rd.